You have a music business, a band, a solo act, or even a recording studio – and need your taxes done – OR – forgot to file taxes last year -OR- you’ve received a notice from the IRS or a state. 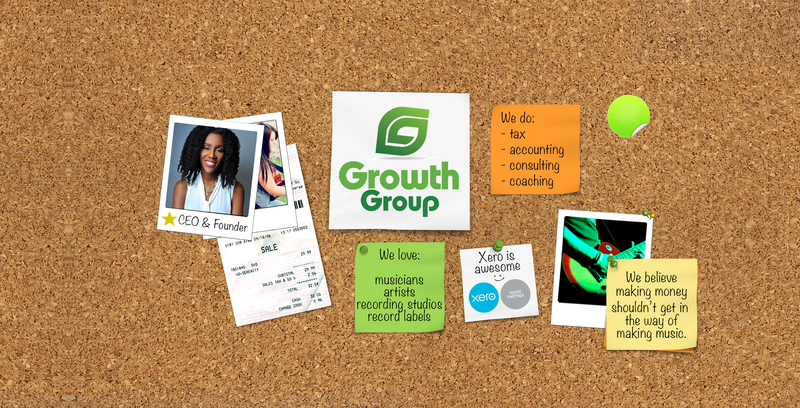 Whatever you need, Growth Group makes taxes simple, so you can understand. We always start with a conversation about what you need to accomplish, have you fill out our “What’s Up With Tax” questionnaire, then get started on your tax returns. When you choose tax services from Growth Group, we start with simplicity. A conversation and tax form handover get the performance started. No fuss, no confusion. Everything online. In the end, you’ll have to follow the tax plan we’ve created to grab the most tax breaks. But, that’s why you hired Growth Group right? Can I write-off my iPhone? Why do you need receipts for tax deductions? Are there tax credits specially for artists? We can answer those tax questions and many others, no problem. Get started on the “What’s Up With Tax” document and send us a quick note so we can chat about getting your taxes ready. Need bookkeeping or accounting too?